​Everton travel to the London Stadium for Saturday's evening kick off to face West Ham United in the Premier League. 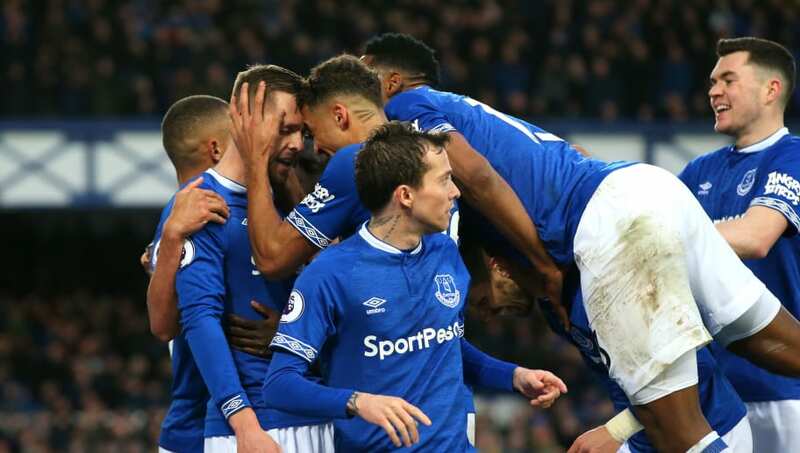 The Toffees will be looking to build on a 2-0 win over Chelsea before the international break but Marco Silva hasn't recorded back-to-back victories since January against Lincoln City and Bournemouth. Everton's only casualty from the international fixtures is Yerry Mina, who was forced off in the first half of Colombia's 2-1 defeat to South Korea. The big centre-back is expected to be out of action for up to three weeks. Mina aside, Silva has a fully fit squad to choose from and here's how ​Everton could line up against the ​​Hammers on Saturday. Jordan Pickford (GK) - Kept a clean sheet for England against the Czech Republic, ​Pickford has made some high-profile errors this season but Silva retains total confidence in his goalkeeper. Seamus Coleman (RB) - Captained the Republic of Ireland for both of their 1-0 wins over Gibraltar and Georgia during the international break, ​Coleman is expected to wear the armband for his club on Saturday. Michael Keane (CB) - After a defensive slip-up against Montenegro, ​Keane rose high to head home and equalise for England on Monday - his first goal for the Three Lions. Kurt Zouma (CB) - Missed the Chelsea match due to being ineligible against his parent club, Zouma's form earned him a call-up to the French national team but the 24-year-old was an unused substitute for both games. Lucas Digne (LB) - Joined Zouma on France's bench, Digne has impressed since arriving from ​Barcelona with three goals and four assists in the league so far. Andre Gomes (CM) - ​Gomes has added some class to the Everton midfield this season but was hauled off at half-time while playing for Portugal in midweek, with his country 3-0 down to the Netherlands. Idrissa Gueye (CM) - An underrated midfield destroyer, Gueye played the full 90 minutes as Senegal beat Madagascar 2-0 on Saturday. Gylfi Sigurdsson (AM) - Missed a penalty against ​Chelsea but fortunately for the Iceland international, he converted the rebound for his 12th goal of the season. Richarlison (RW) - Still just 21 years old, Richarlison is looking for his third goal in as many games for the Toffees, and his 13th for the season. Dominic Calvert-Lewin (ST) - The 22-year-old has started the previous four matches, scoring twice and leading the line well. Calvert-Lewin also scored for the England Under-21s last week. Bernard (LW) - Bernard has missed just four league games but is yet to find the back of the net in the Premier League.